I trudged through dead grass and weeds that reached up to my thighs. My coat was warm, but I could still feel the bone-chilling January cold – humid as only the US South can dish out. 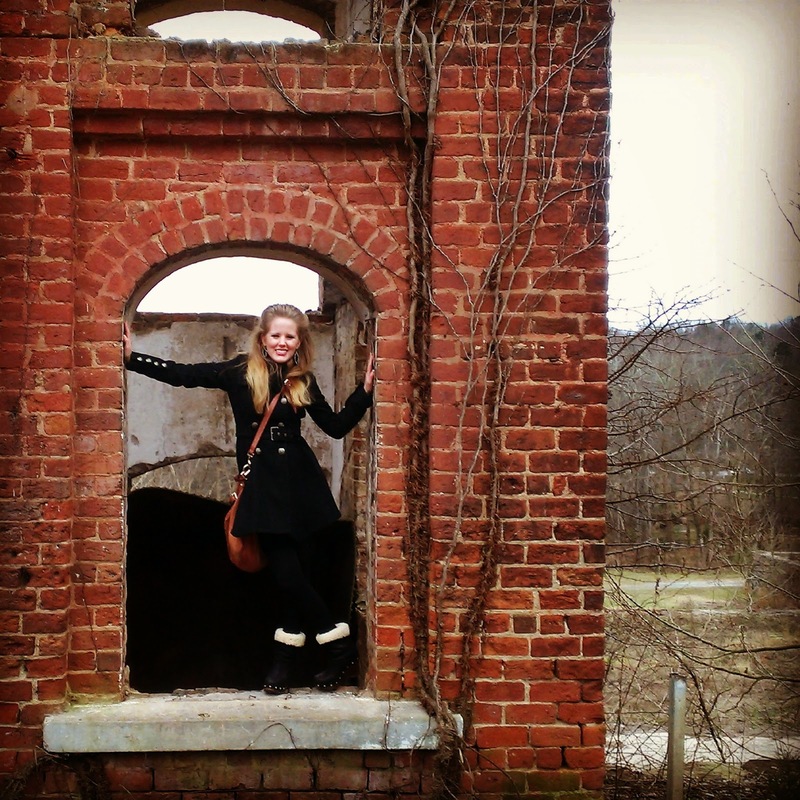 My destination was the remnants of an old, abandoned textile mill. Maybe it was prohibited, but everyone went to the boarded-up mills without thinking twice. Couples had their engagement photos taken there. Young lovers took breaks from their university studies to sit on the roof to watch the sunset. The mill could take on a seedy character, too, as it was a place where drugs were often sold and smoked. Ironically, fundraisers for charity were known to be held outside on the grounds. The mills attracted everyone – despite socio-economic status. For the people who had grown up in Spartanburg County (like me), the textile mills were a direct symbol of our heritage. Directly or indirectly, textiles were often the reason our families moved to the area to begin with. The closings of the mills (as the jobs were outsourced overseas in the second half of the 1900s) were the reason for our region’s poor economic performance. Personally, I attended a private school founded by textile tycoon Roger Milliken. The school was established in part to ensure that his white-collar workers’ children would not have to attend the desegregated schools as mandated by Brown v. Board of Education. Although when I attended, scholarships had been offered in order to diversify the student population, a substantial proportion of the students consisted of the grandchildren of mill owners or associated with the textile industry in one way or another. When my class engaged in community service, the recipients of our efforts often lived in the ramshackle houses surrounding the closed mills. It was a fascinating education into the topics that plague our nation today: inequality, the loss of the United States manufacturing industry, and the void of personal purpose and pride when the underprivileged and undereducated workers could no longer find jobs. Fast forward to now and I am working for a company that imports and exports textile machinery and every day, I am caught in the interconnected web of the global economy. I start out my mornings researching the international textile industry – what government policies are being enacted and where; where there is energy insecurity and mills subsequently cannot run; where there is social instability; where the Chinese and Indian textile companies are investing. It was during this research where South Africa first found itself on my radar. 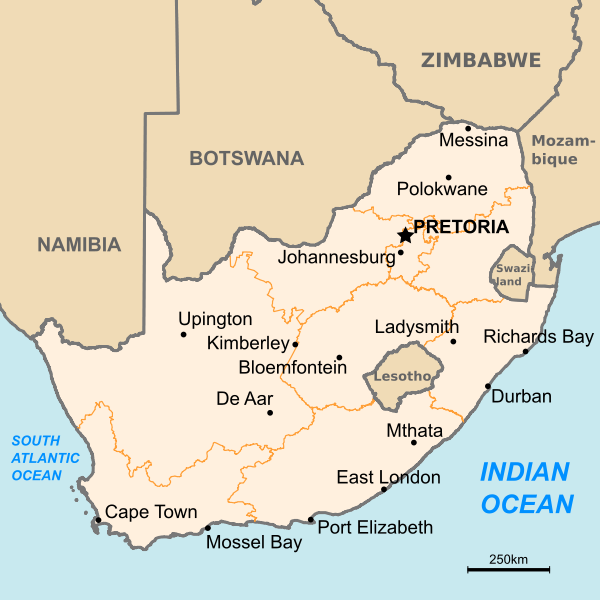 Reading about the re-emerging textile industry in South Africa and the government’s commitment to sustain this industry’s growth, it dawned on me how little I actually knew about South Africa. 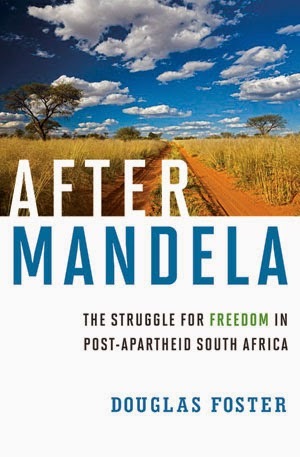 When I completed page 3 of Douglas Foster’s “After Mandela: The Struggle for Freedom in Post-Apartheid South Africa,” I immediately sobered up and recognized my ignorance on one of the most strategically important countries in Africa: “If you lost track of developments in South Africa around the time Mandela retired as head of state in 1999, its recent history seemed rather disappointing.” It was this single line which challenged me to take on the nearly 600-page brick of a book, published in 2012 by Liveright Publishing Corporation. I somehow justified my two-day reading frenzy to finish it not only as my duty as a global citizen, but also my duty as a good employee trying to better understand the South African markets. Indeed, South Africa is of great strategic importance. The author quotes former Secretary of State Condoleeza Rice on page 416: “’Everybody felt that you had to have a stable South Africa and a stable Nigeria,’ Rice explained. ‘You needed those two anchor countries to be stable in order to ensure development in Africa. South Africa had seemed quite stable until then. It had a patina of stability anyway’ until the split at the top.” This “split at the top” refers to the leadership split of Thabo Mbeki and Jacob Zuma (Mbeki’s former Deputy) – the only two men to hold the South African Presidency following the one-term presidency of Nelson Mandela (who purposefully served only one term from 1994 to 1999 to offer an example to the other leaders of Africa.) This book, which covers the author’s travels and time spent living in South Africa, begins in 2004 and follows the country’s political development up until 2012, subsequently providing an intimate view of the shortcomings of both leaders’ administrations. I believe that each one of the men who have dominated the South African political scene – Mandela, Mbeki, and Zuma – should be considered a hero in one way or another. Each one suffered for his country, whether through imprisonment or exile – fighting against the apartheid regime, which denied the basic rights of citizenship to black Africans. Mandela was a martyr and spent 27 years imprisoned – mostly in the horrible Robben Island. In his years in exile, Mbeki worked diligently – ensuring financial backing for the African National Congress (ANC) and participating in key negotiations between the ANC and the white-controlled government. Zuma spent nearly 10 years imprisoned on Robben Island and later took a leading role in intelligence while in exile. At first, the ANC, which provided the political mobilization for the anti-apartheid movement, was a means for unification. “Ever since colonizers and the apartheid regime had played on ethnic differences in the old days, party policy downplayed ethnic cleavages.” (page 350) However, in recent years, this movement has become more and more divided among ethnic lines, culminating with the Mbeki-Zuma split. (Mbeki is of ethnic Xhosa descent and Zuma is of ethnic Zulu descent.) The results of this ethnic split are yet to be truly seen – however, they will doubtlessly play a huge role in the years to come. If the ANC is to split between the plethora of ethnic groups in the country – rather than putting up a unified front – it is possible that South Africa will fall prey to the ethnic tensions, and even violence, of its neighbors. Actions of xenophobia are already occurring with refugees from Mugabe’s Zimbabwe pouring across the border.